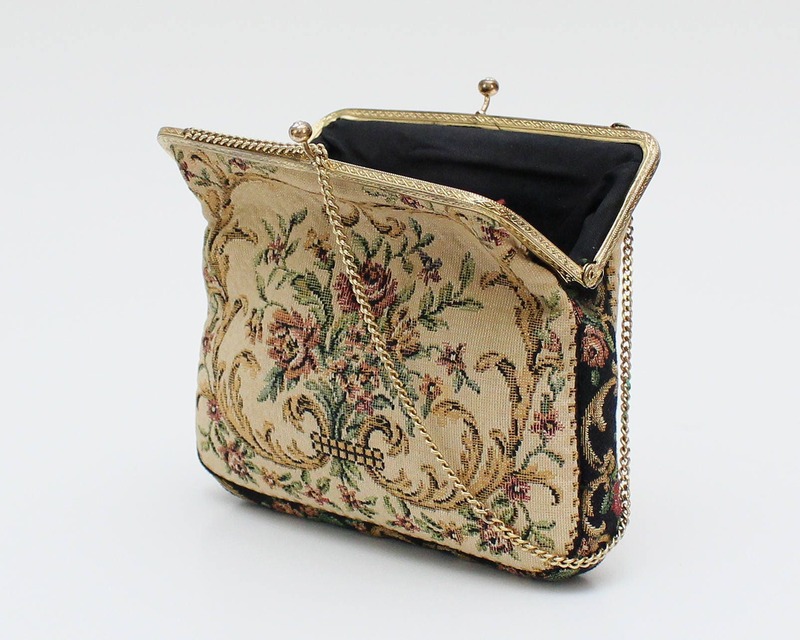 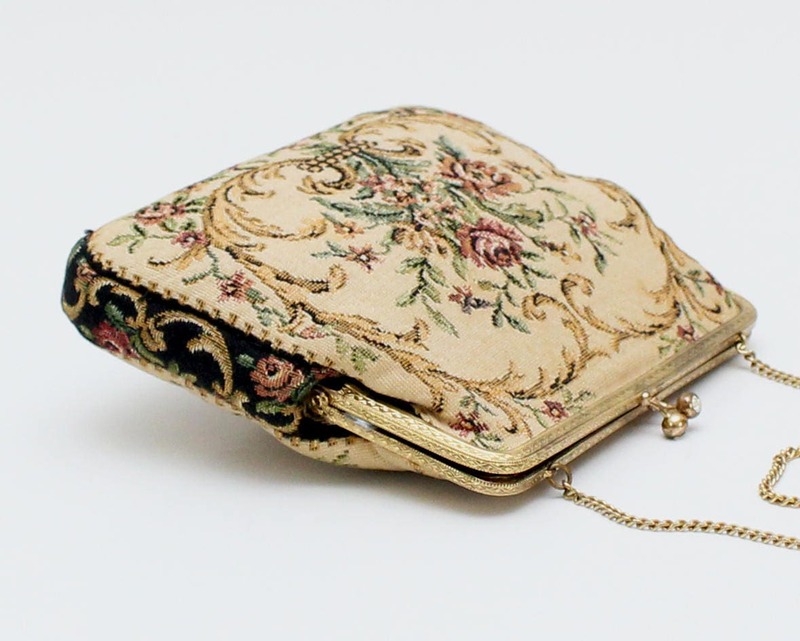 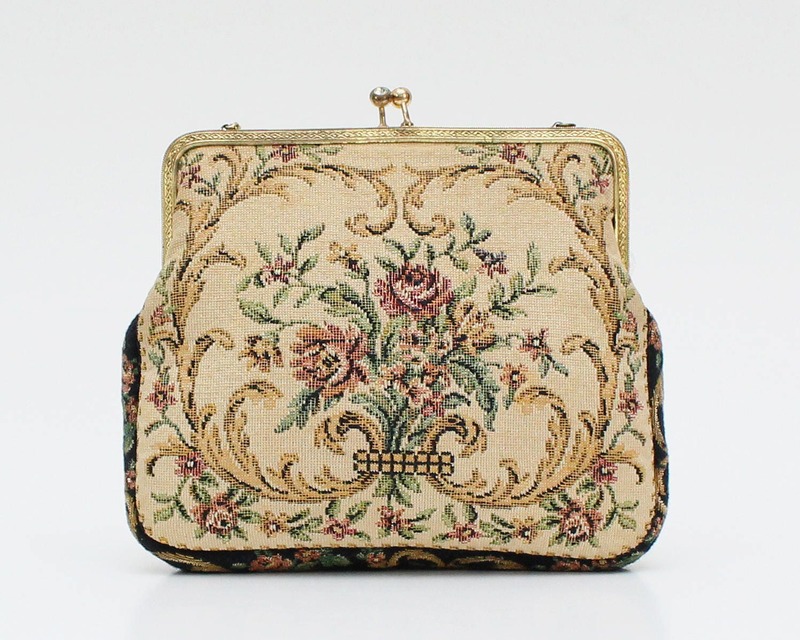 A charming tapestry handbag from the 1930s displaying a floral bouquet print repeated on both sides. 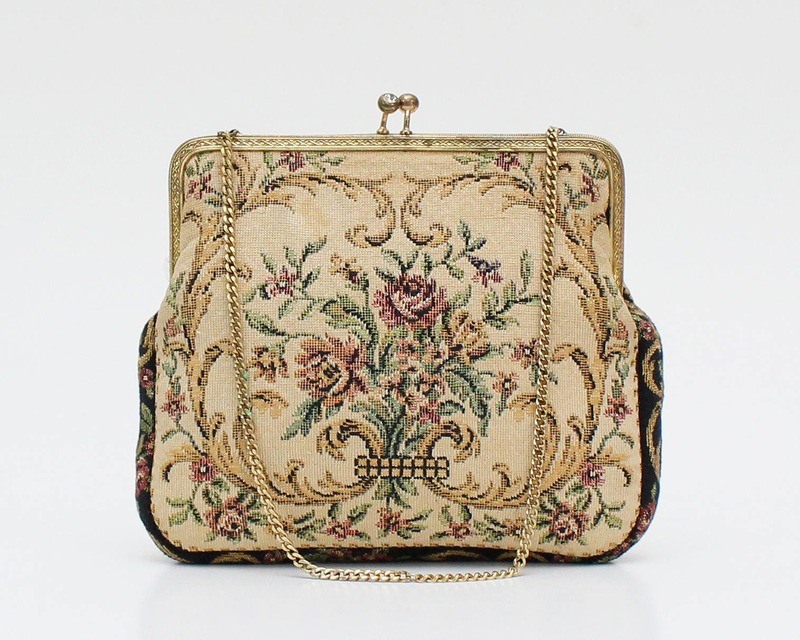 The frame is gold tone and delicate with an intricate design leading to two rhinestones on the locking mechanism. 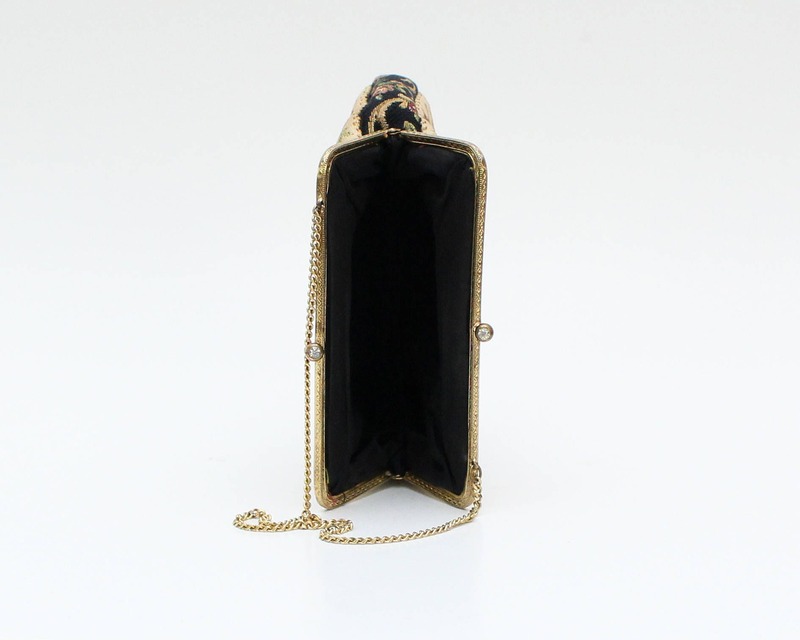 The thin gold chain is attached to alternate sides of the frame. 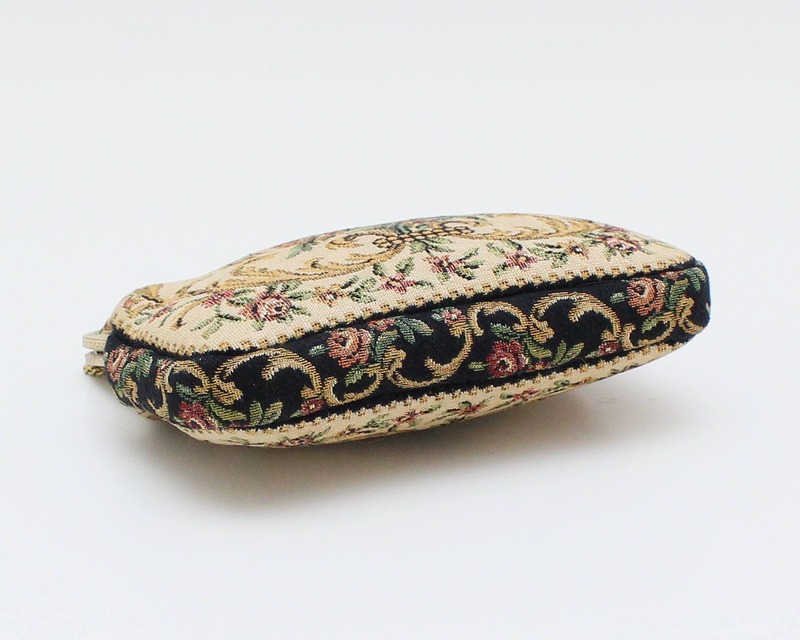 Interior is lined with black fabric. 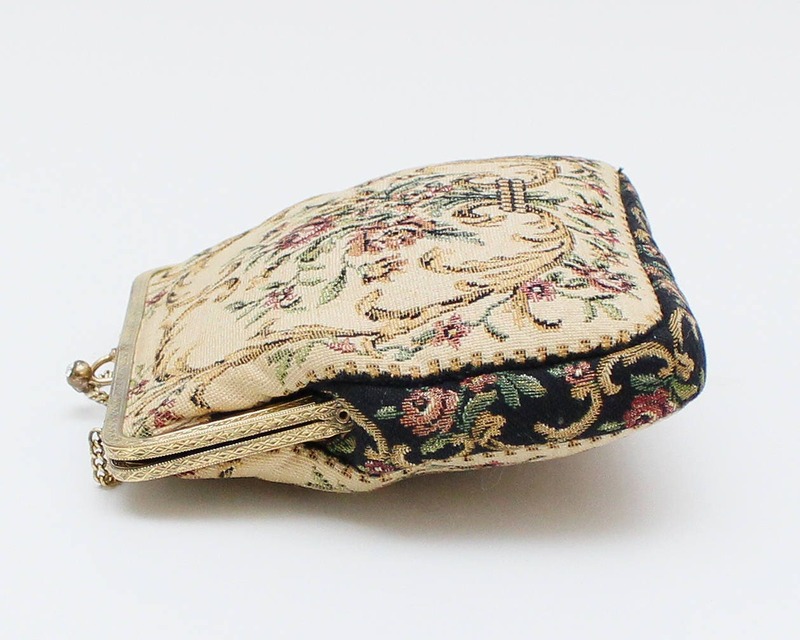 There is a stain on the interior, and a very small spot on one side of the exterior of the purse.